EM SLICE simulates the propagation of EM Radiation with time-domain (FDTD) and ray tracing solvers. 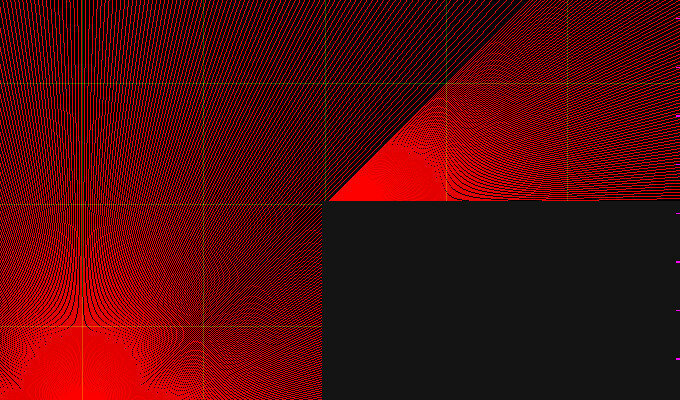 This is an example of EM Slice modelling the diffraction of radiation at a corner, through the ray tracing engine. 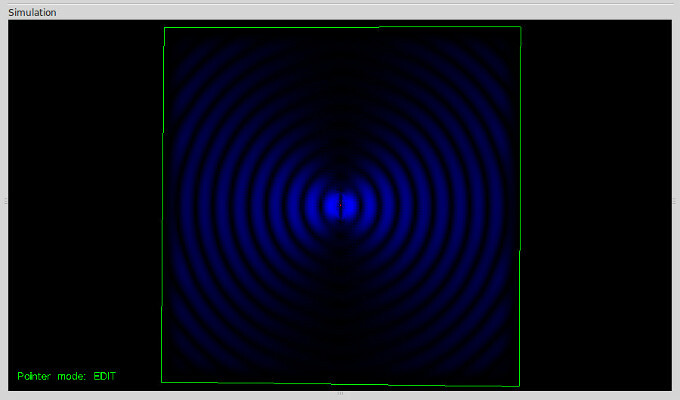 This is the same diffraction example as the upper example, but showing the effect of the kinfe-edge diffraction model on the strength of the radiated power. This simulation of a phased dipole array evaluated in a 3D FDTD volume can be tailored to many different systems. 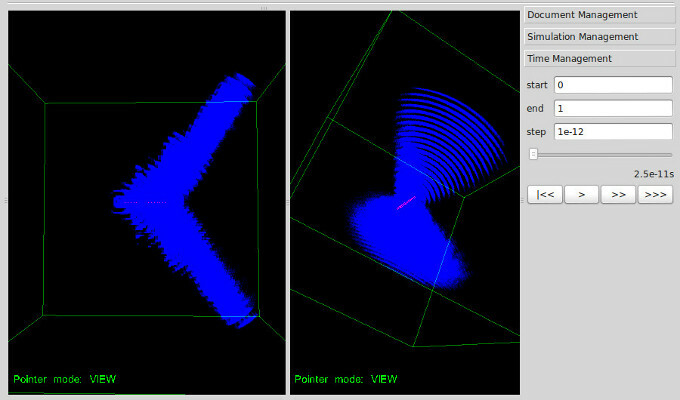 Custom source layouts and waveforms are also possible by using the python interface. 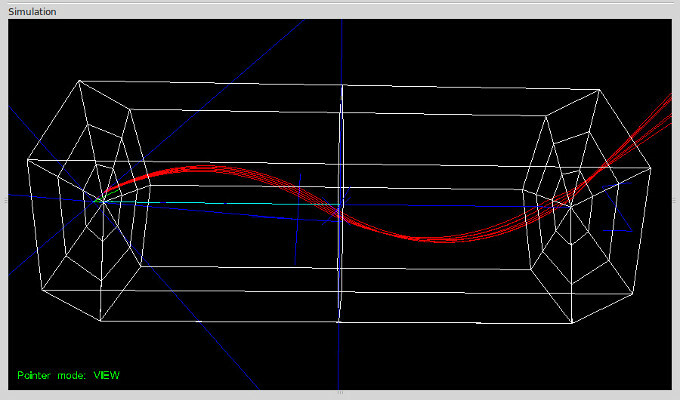 This simulation is of a basic dipole transmitting in a 2D plane, evaluated using the FDTD solver. 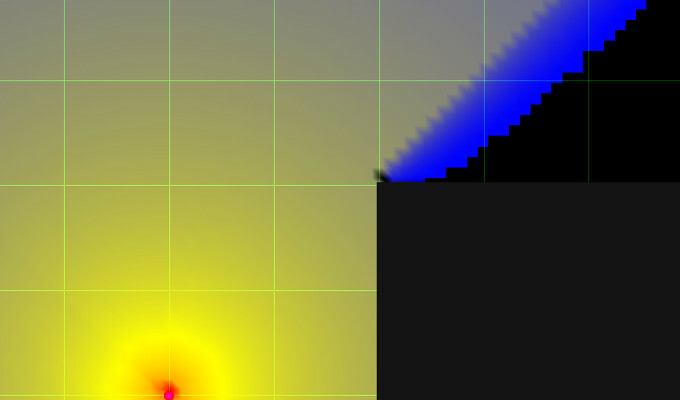 This ray tracing simulation is of a graded index waveguide, where the refractive index of the material varies linearly as a function of distance from the central axis.